I made this dish a couple of weeks ago, but forgot to post about it. We now have quite a bit of kale and cavolo nero in the garden (thanks for Christine and Nathan who grew all the seedlings for me – thank you) which is good. I had to look up how to spell cavolo nero on the internet – apparently you can grow vegetables without having the faintest idea how they are spelt. The dish is pretty flexible so add ingredients to taste. You could easily make this vegetarian by omitting the chorizo, or vegan by omitting the duck eggs. 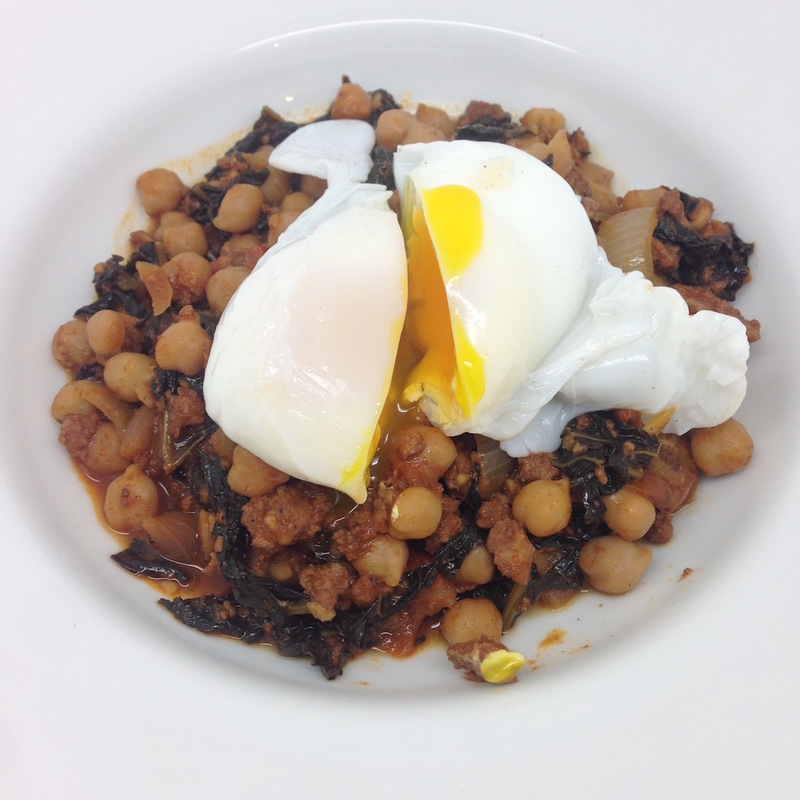 Cavolo Nero, Chickpeas, and Chorizo: duck eggs (optional), bunch of kale or cavolo nero, onion, some cooking chorizo, splash of sherry, sherry vinegar, tin of chickpeas, cumin, seasoning, olive oil, sweet smoked paprika and some chilli powder, tomato puree. Heat oil in a frying pan, or wok. Gently cook the chopped onion and the chorizo. 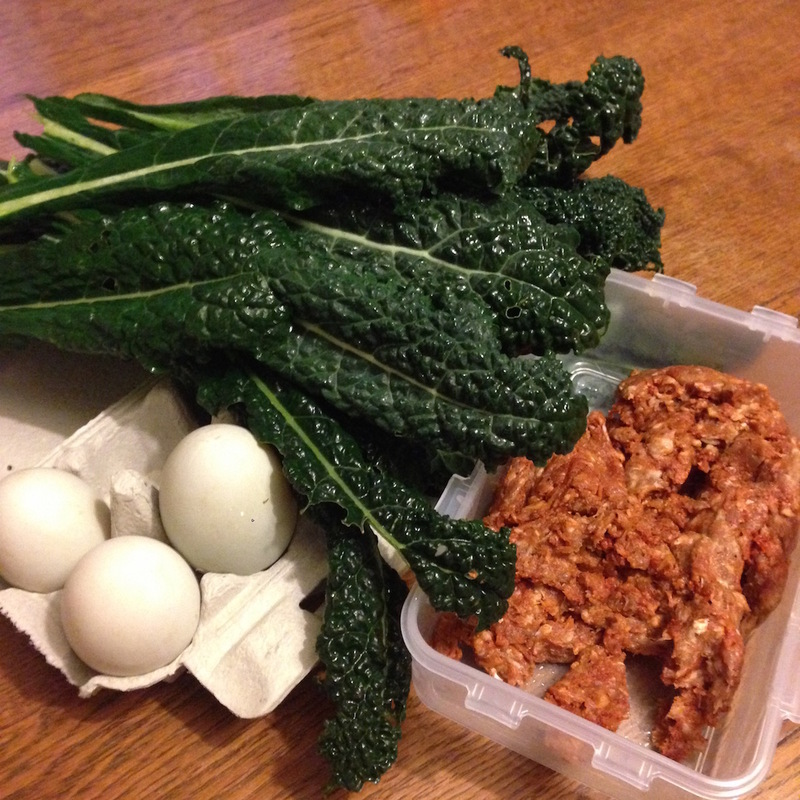 Add the chopped kale (I take out the thick stalks of the cavolo nero and whizz it up as dog food) and cook for a while. Add in the seasoning – cumin, smoked paprika and chilli – and the tomato puree. Cook for a little bit then add in a good splash of vinegar and sherry. Add in the chickpeas. Let it bubble away for while – you can cover with a lid if you like. 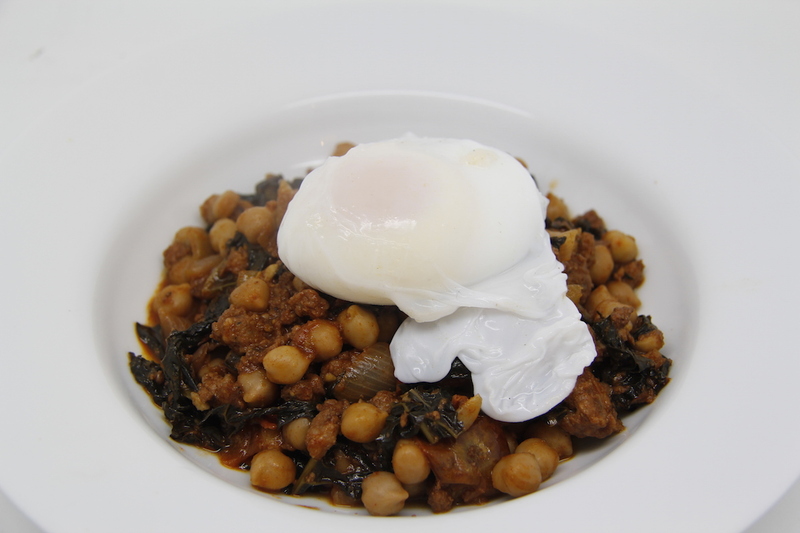 When you want to eat, poach the duck eggs and serve on top of the kale and chickpeas. N.B. I will post the recipe for the chorizo very soon – it is super-easy to make – I am off to London now so don’t have any time….. If you take a look you can also see my marvelous meat grinder! Oh I love cavalo Nero! I did a fab curry with it, chickpeas and sweet potato a while back… Yum! The curry sounds great – I will have to try it – thank you for the idea.